A little over a month ago, I got it into my head to buy 1000 whiskey barrel bungs. It took a little fast talking to convince the wife that it was a good idea. Especially since we had recently learned that my biggest client was going to be drastically reducing their need for me. But I had an idea that I wanted to try. About six months ago, my wife filled her tasting journal. She asked me to come up with a new one for her. I tried a few things, but I finally came up with a workable design and format a couple weeks ago. Now she can stop using the spiral bound notebook she picked up in the school supply aisle at Target. Two weeks ago, I noticed someone from South Dakota selling used wine and whiskey barrels on craigslist. At this point, it was a foregone conclusion that I'd be getting at least one. Even though I had other things to do, the barrel had to come apart first. What do any of these things have to do with one another? Well, it is no secret that I love whiskey. Bourbon especially. I love bourbon in a glass, but I also love everything else about it. I like seeing barrels and bottles. And every time I go to Kentucky, I have to convince myself to not buy the things created from barrels and bottles. I love building things. I like creating real things with my own two hands. It's exciting and real in a way that creating a digital file never will be. And since I had the time and opportunity to do so, I decided to start creating things. Some big, some small. And as of today, I am offering them for sale. I've created an Etsy store, but you can get there by going to BourbonGuyGifts.com. I've created a lot of things so far. 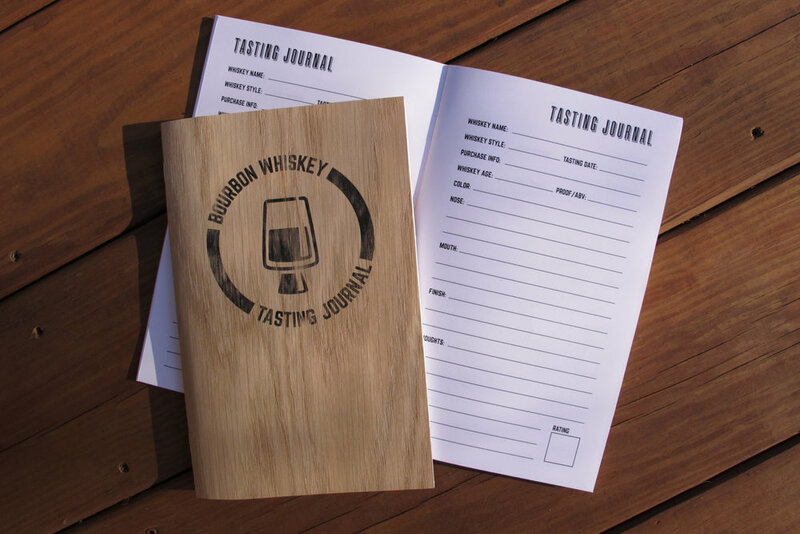 Art prints, holiday ornaments made from whiskey bungs, coat racks and candle holders made from staves, Bourbon Tasting journals, a bourbon tasting kit complete with glasses and more. And with more to come. I have a lot of ideas and to this point, I've only made enough to get the store up. so check back often and if you have an idea you'd like to see created that I don't have up yet, drop me a note in the comments.